Keloids are scars that grow beyond the original borders of the wound. Like hypertrophic scars they are raised, but they are often dark in colour and hard to the touch. Without treatment, they will often continue to grow. Keloid scars can make you self-conscious, but you don’t have to live with them. Treatment can diminish the appearance of keloids or sometimes get rid of them altogether. The cause is exactly not known. They are the result of an overactive healing response. To bridge the gap caused by skin damage, your body creates granular tissues, which are made primarily of collagen, across the injury site. Imbalance between collagen stimulators and inhibitors lead to formation of keloid. Sometimes, the fibroblasts that lay down this bed of collagen don’t get the message to turn off and continue creating the granular fibres, actually overlaying your natural skin with them.The result is a scar that continues to grow outward, often in all directions, expanding beyond the original site of the wound. Steroids/ 5FU injections are often used to stop the growth of keloids. They cause the fibroblasts to stop their work, and encourage your body to remodel the scar tissue into normal skin. This will diminish and change the appearance of keloids, but rarely eliminates them entirely. Combination of Ultrapulse SCAAR Fx and fractional drug delivery has given wonderful results. This unique protocol developed at Skin city, PG institute of Dermatology & lasers have shown results as effective as complete clearance in most of the cases. Ultrapulse SCAAR FX is known to create deep channels into thick scar tissue with minimal lateral thermal damage. This coupled with fractional drug delivery of collagen remodelling agents can almost flatten the hypertrophic scar and keloids if used for sufficient period of time. A typical treatment protocol for keloid and hypertrophic scar management will extend from 6 months to 18 months involving monthly or bimonthly OPD based treatment sessions. 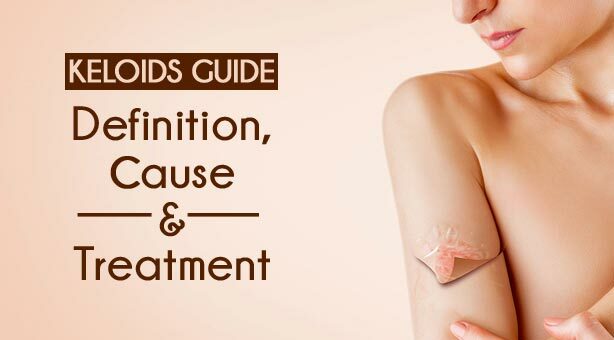 Skin City India, PG institute of Dermatology & lasers has pioneered and revolutionised the technique of keloid treatment. We have extensive experience in keloid treatment. Our protocols and expertise to adapt laser technologies in Indian patients are being followed as the Gold standard in the field of Dermatology.